What is happening this week in the world of entertainment? 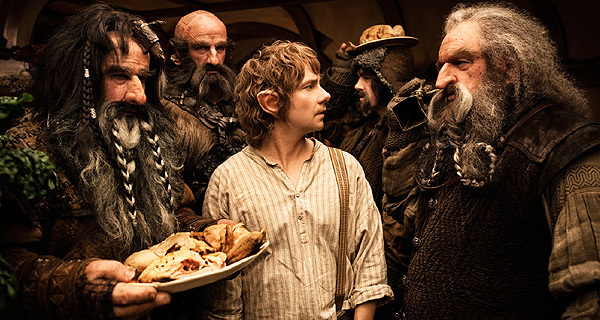 New Line and MGM’s The Hobbit: An Unexpected Journey kicked off the holiday season in high style, opening to $84.8 million, the top three-day opening of all time for the month of December. The first in Peter Jackson‘s planned trilogy, Hobbit opened to $138.2 million overseas for a worldwide total of $223 million. The movie came in ahead The Lord of the Rings: The Return of the King in 2003 ($125.9 million). Source. A storyline has surfaced for the upcoming 2015 Justice League film, or at least a peak as to what the movie might tackle. Screenwriter Will Beall who is currently working on the script indicates that the movie will pull inspiration from Gerry Conway’s Justice League of America 183-185. Released in 1980 and details Darkshield planning the destruction of Earth by blasting it with a ray that would move Apokolips into Earth’s space. Source. The Killers released their latest music video which was directed by the always interesting and slightly kooky Tim Burton. Of course being Tim Burton he brought some star power with him to the shoot as well. The video features Winona Ryder and Craig Roberts (Submarine). Source. Jennifer Love Hewitt is set to develop a new Lifetime series based on Pride and Prejudice. The dismally named Darcy’s Town will me a modernized retelling set in a small town in Virginia. Sheryl Anderson (Charmed) has also signed on to pen scripts for the project. Source. 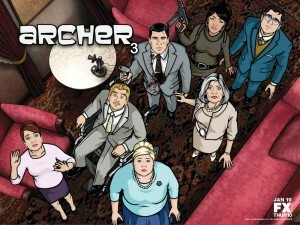 FX’s cult hit Archer will soon be setting out on a live tour. Jon Benjamin, Aisha Tyler, Jessica Walter, Chris Parnell, Amber Nash, and Lucky Yates, who will appear alongside series creator Adam Reed and executive producer Matt Thompson to participate in a live reading of classic scenes from the series, as well as answer fan questions/graciously endure “Danger Zone!” catcalls. Source. The first full length trailer for the upcoming A&E series Bates Motel has hit the web. There are plenty of nods to the classic film on which the series is based, but the updating may serve to give it a fresh new twist and wider appeal. You can check out the trailer here. The CW has long been looking to add a Hunger Games like show to their line-up. After their first attempt at adapting Battle Royale into a viable weekly show, the network seems to be getting behind a reality style show entitled The Hunt. The series will center around 12 teams of no doubt useless and dramatic teens who will be abandoned in the wilderness and forced to spend a month building shelter and foraging for food while at the same time warding off other opponents who will try to capture them in some way. There of course will be no actually killing like in the Hunger Games, but who wants to bet you’ll be rooting for it anyway? Source. ABC is developing a single camera series based on the life of Justin Bieber. The show will center around a young musical prodigy raised by his mother and grandparents, much like Bieber’s own childhood. The news was meet by an enthusiastic groan from every parent of a girl eleven and under. girl. Source. The BBC is confronting the results of a study they commissioned on themselves. 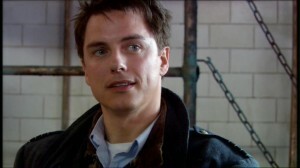 The report focusing on the way the British Television network portrays Gay, Lesbian and Bisexual characters on their shows. While Doctor Who, Downton Abbey and Holby City were praised the organization still acknowledges that they have a lot of work to do. The BBC’s acting director general Tim Davie, chairman of the BBC working group which commissioned the review, said: “The BBC has a fundamental obligation to serve all its audiences. In fact, it’s one of the BBC’s public purposes to reflect the diversity of UK life. I’m proud to have led this work for three years, and this review underlines our commitment and sets a direction for the work to continue.” Read more here.